NEW DELHI — Rohin Sarin is midway through his 9th grade geography class when he starts feeling light-headed and dizzy, a sign that his blood sugar levels are dipping. He quietly removes his insulin pen from his school bag, gives himself one of four daily jabs and takes a bite of an energy bar. 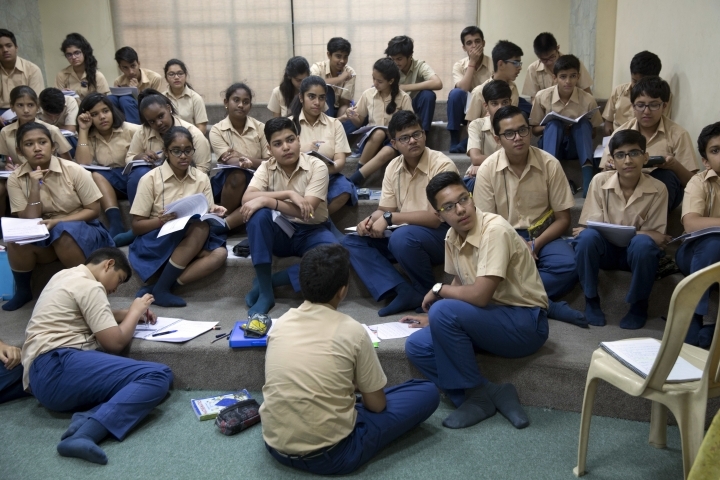 The 15-year-old's classmates in New Delhi have seen the ritual so often they are no longer curious. Rohin is one of a growing number of Indians with diabetes, the disease increasingly afflicting children and adolescents in the fast-growing South Asian country. More than two decades of rapid economic growth has changed Indians' lifestyles. People eat out more often, and prefer Western-style junk food such as burgers and pizza over traditional lentil and vegetable meals. They are also more sedentary, using cars and public transportation instead of walking or riding bicycles, and entertaining themselves with television. The changes have brought a sharp rise in obesity, along with lifestyle diseases such as diabetes, even as India still has some of the world's worst levels of malnourishment and stunted childhood growth due to a paucity of food. 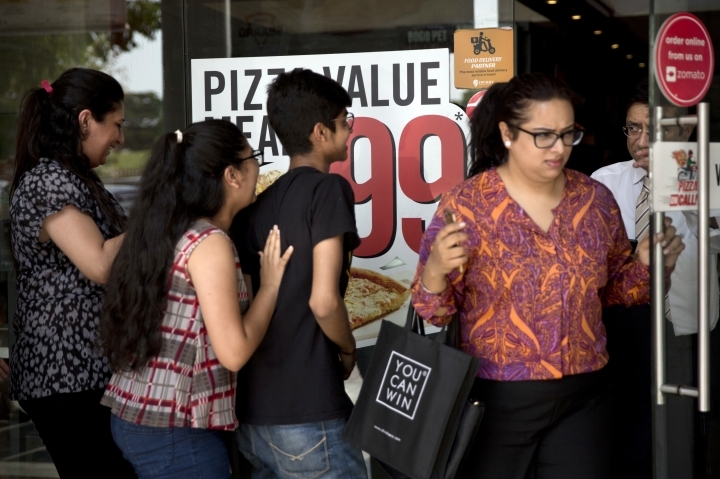 "Over the last 20 years, we are seeing a huge explosion ... mainly because of increasing childhood obesity," said Dr. Monica Arora, a specialist with the Public Health Foundation of India. Nearly 30 percent of India's teenagers are obese, nearly twice the number in 2010, according to health ministry statistics. India has 70 million diabetics, though it has no data on how many are children and likely has millions more cases that haven't been diagnosed due to spotty public health facilities and a lack of awareness outside big cities. Health experts warn that India is on track to reach 120 million cases, or nearly 10 percent of the population, in the next eight years. That would put it on par with the United States, which counts 9.3 percent of the population as diabetic, or China, where 11 percent of the population — or 109 million — have been diagnosed, according to the International Diabetes Federation. Alarmed by the trend, the government is working to screen 500 million people aged 30 and older for diabetes and other non-communicable diseases by 2019, and eventually hopes to roll out the screening program to the entire 1.3 billion population. Authorities are also working with schools to "catch children in the pre-diabetic stage," Health Minister Jagat Prakash Nadda said recently. Medical research suggests Indians are genetically more susceptible to developing diabetes, thanks to a tendency to put on weight around the belly, Arora said. Most patients come from wealthier families and live in urban areas. India's countryside villages, meanwhile, are home to one of every five malnourished children in the world. "When you consider the long-term costs of the disease, it is an extremely worrisome prospect," Arora said. Most of India's diabetes cases are Type 2, often occurring when extra weight limits the body's ability to produce or use insulin to turn food into energy. By comparison, Type 1 diabetes is a natural inability to produce insulin. Health experts are most worried about young people developing Type 2, which is also known as adult-onset diabetes. The disease requires a lifetime of attention to diet and exercise and access to proper medical treatment, without which diabetics are at risk of blindness, limb amputations, heart or kidney failure and stroke. They have advised healthier diets, even for Indians sticking with traditional cuisine. That may mean less of the starchy rice and flatbread now dominating Indians' dinner plates. And no more adding oil and butter to richen long-favored curried vegetables. And finding substitutes for the syrupy, fried sweets popular on special occasions from official holidays to the birth of a child or a new car purchase. 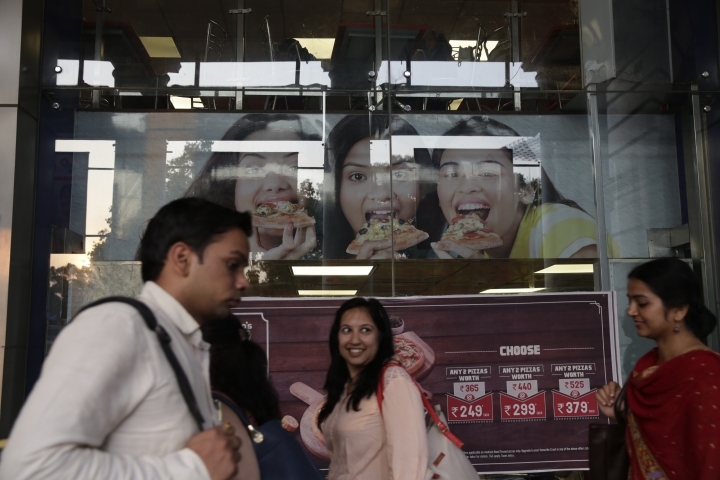 Today's residents in the capital of New Delhi are eating about 20 percent more fat and 40 percent more sugar than they did six decades ago, according to the Indian Medical Association. And they're doing so while burning fewer calories, taking public transportation or driving private cars instead of walking or bicycling. 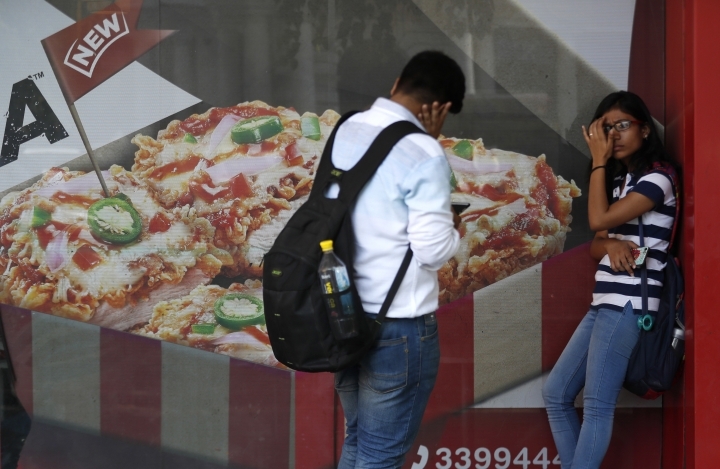 "People did not have worries about putting on weight," said Dr. Sutapa Agrawal, an epidemiologist with the South Asia Network for Chronic Disease. Obesity was rare enough that a little "plumpness was desired, especially among children, as a sign of the family's affluence." Doctors are also urging families to encourage outdoor activities, rather than allowing kids to stay indoors playing video games. "Parents are happier if the children are indoors. They feel: at least they are safe," Agrawal said. Rohin, already heeding the advice, is down at the cricket pitch most mornings for a rigorous game before school. In the five years since he was diagnosed with the disease, he's learned to avoid sweets and sodas, and juggles his busy school schedule with sporting activities. He's learned to live with the diabetes. "It's something that's not going to go away," he said.